The ongoing "Buy The Land, Send the Water South" campaign could destroy the communities and farms of the Everglades Region and allow the Everglades to suffer in the process. Funded by wealthy, out of state billionaire hedge fund managers, activists across Florida are attacking Florida’s sugarcane farmers in the name of "environmental" causes. These attacks distort the truth, cast hard-working farmers as villains, disrupt the livelihoods of the people of the Glades communities and do not help advance Everglades Restoration efforts. 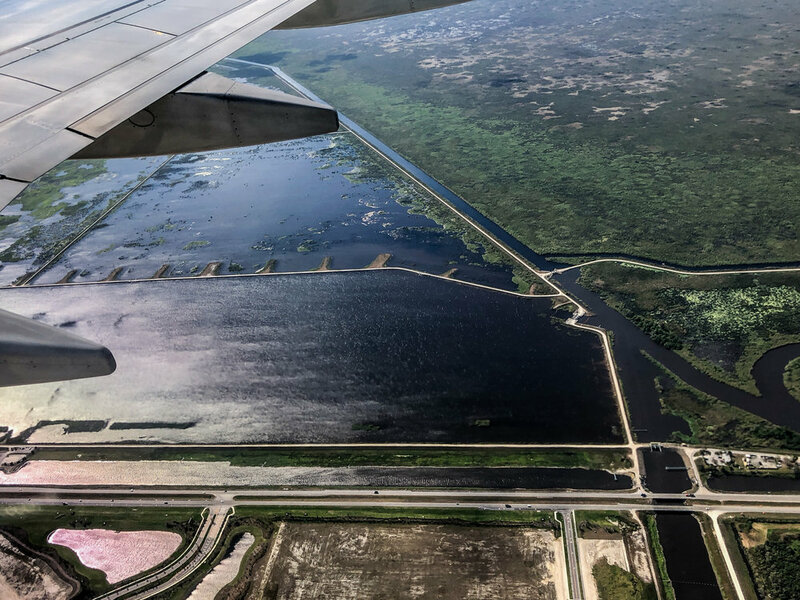 Using social media, traditional media and word of mouth at the grassroots level, these extremists spread misinformation, suggesting Florida’s sugarcane farmers are to blame for pollution in Lake Okeechobee, despite factual evidence to the contrary. The activists regularly blame sugarcane farmers for the Lake Okeechobee releases that are controlled by the U.S. Army Corps of Engineers. It seems their central mission is to persuade the state of Florida and the federal government to buy EAA farmland in the name of environmental restoration—which would have a crippling impact on the Everglades Region's economy. Taking farmland out of production means farmers lose their land and way of life, factories will be forced to close, and in turn Glades communities will further deteriorate. In addition, the timeline and implementation of the Comprehensive Everglades Restoration Plan gets further delayed. It is imperative people who want the best for the environment and to preserve American farms, band together and fight back by challenging the big money campaigns spreading false information to achieve a hidden agenda disguised as conservation effort. We encourage you to join us and get involved. BullSugar.org is a group that was established to attack sugarcane farmers and urge lawmakers to support buying farmland to store water. 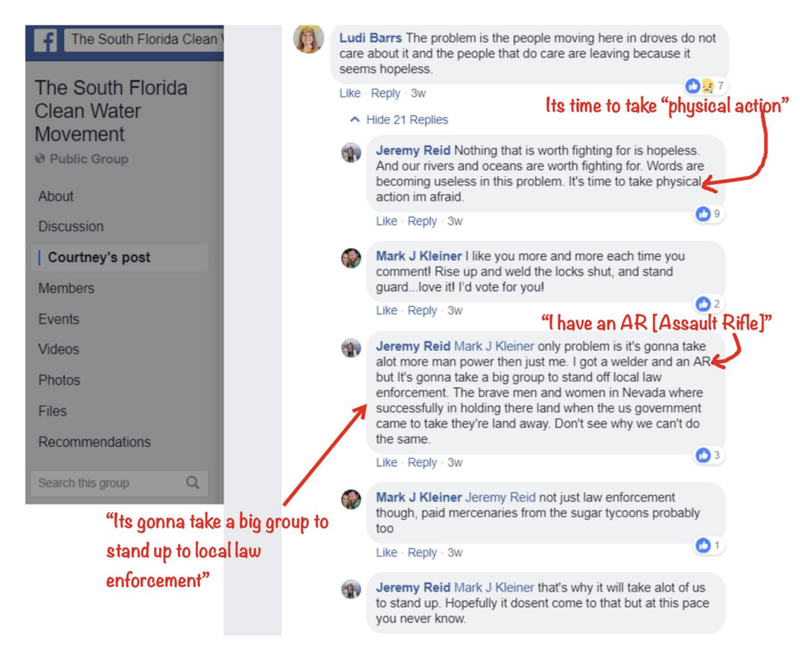 Their posts are extreme and have included threats of violence and wishes for harm to the people of the Glades communities. 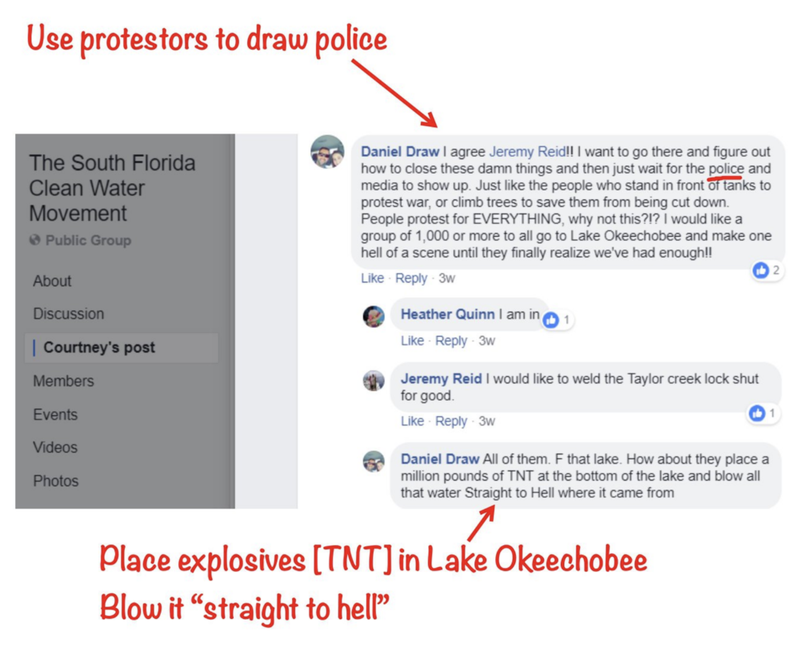 "Its time to take physical action"
"Ive got an AR [assault rifle] but it gonna take a big group to stand off local law enforcement"
"How about they place a million pounds of TNT at the bottom of the lake [Okeechobee] and blow all that water straight to hell." "Sign a declaration of war...blow the fu**ing lake up..its time to fight." "We all pay dearly for Florida's sugar industry. It needs to end." EXAMPLE: Sierra Club Accuses Sugar farmers of Creating "Ecological Disaster"
"Their status quo is killing our ecosystem," said Sierra Club Calusa Group environmentalist John Scott. "They basically have used Lake Okeechobee for decades as their personal agricultural reservoir." "The Sierra Club contends the burns cause air pollution and adverse health effects. It wants Florida’s 430,000 acres of sugar cane, the majority of it in Palm Beach County, to be ‘green harvested’ without burning." Save Our Farms! - Sign the Petition to Stop "Buy the Land"